As always, Ganja Mall Cinema located in the 3rd floor of Mall Ganja presents a new movie. 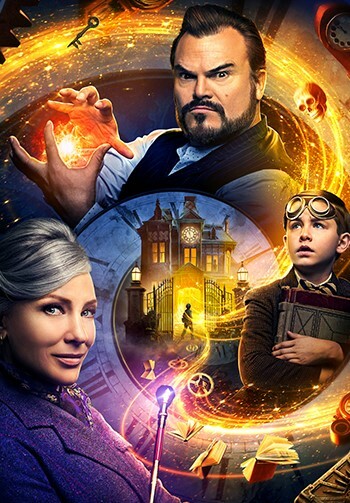 Starting from 27th of September, you can watch the movie “The House with a Clock in Its Walls” in Ganja Mall Cinema. 10 years old Lewis Barnavelt moves to Michigan to live together with his uncle after he loses his family. Trying to know his uncle, after he realizes that his uncle is a magician, he steps into magical life. He starts to learn magics, but the magics are not just practiced by well mannered people. The former owner of the house, Isaac Izard is interested in what happens after doomsday. Following his curiosity, the magician leaves a special clock at the house, before he passes away. Do not forget to visit to Cinema Plus located in Ganja Mall to share exciting and interesting moments with your close ones, while watching the movie where main roles are played by the actors such as Cate Blanchett, Jack Black, Lorenza Izzo.